OKU is your Personal Skin Coach – an innovative skin scanner and iPhone app designed to help you achieve your best skin. See what’s happening beneath the surface of your skin, get your SkinScore™, meet your SkinTwins™ and received personalized skincare advice. mySkin was founded with the mission to bring clarity to the world of skincare, and help you make the best decisions to achieve your best skin. In today’s oversaturated beauty market of more than 70,000 cleansers, creams, lotions, serums, masks, oils (…dare we go on?) there’s a constant parade of promises and conflicting claims. How do you know what works best for you? Whose advice do you trust? Enter mySkin. We are a team of dermatologists, plastic surgeons, aestheticians, scientists, skin care experts and product junkies, who have created products and apps that provide you with the information and tools to help you make better decisions, which products to use and how to best take care of your skin. We focus on a quantified approach to skin care (not just marketing promises!) that helps you measure and analyze the health of your skin. We strive to remain unbiased – we do not peddle or push our own products, or one particular brand. Instead, we match you up with your SkinTwins™ - others with skin like yours – to help find the best products for your skin type. Join a community of others with your skin care concerns and learn what works for them…it will likely work for you too! mySkin was founded in 2009 by two Harvard Business School classmates Rahul Mehendele and Sava Marinkovich, and Dr Jadran Bandric and Dr Djuro Koruga. Dr Jadran Bandric, an MD in Plastic Surgery and Dermatosurgery, brings over 30 years of clinical and surgical skin experience, developed proprietary algorithms and hardware to analyze skin. Over 6,000 patients have benefits from these innovations. Dr Djuro Koruga, a Professor of Biomedical Engineering, is a globally renowned expert in molecular electronics and bioelectronics. Together this team created groundbreaking innovations in the area of quantified skincare devices that combine sciene with skincare to bring to you dermograph® and OKU®. I have the same. I used Mary Kay's "night time emollient cream" on facial dry patches before and it worked real well. I have been meaning to get some again for my eye. It is not to expensive and lasted me a long time last I had it. What products as in make up , cleansers ECt ? And what is your skin care regime ? If you are talking about blackheads I suffer from them on my forehead and I suggest washing them and leaving them alone for a few days and if they remain on your nose try blackhead removing strips or seeing a dermatologist which is what I chose to do. Go to your dermatologist and ask about getting put on a topical medicine such as epiduo or tazorac. The stronger the better in the case of blackheads. I've been using tazorac for about a month and I see a huge difference! Also, if u don't use a Clarisonic it's a great investment. It will make a huge difference in the texture and clarity of your skin. Mario Badescu's Glycolic cleanser and then follow up with Mario Badescu Hlycolic Toner. I use these with my clarisonic when I get texture bumps and it leaves my skin post facial fresh. Also if you have never tried the GLAMGLOW youth mud tingling mask it's fabulous! Worth every penny! I LOVE Queen Helene's mint julep face mask. It is great for pulling out all those built-up impurities and it works on almost all skin types but is especially good for oily skin. 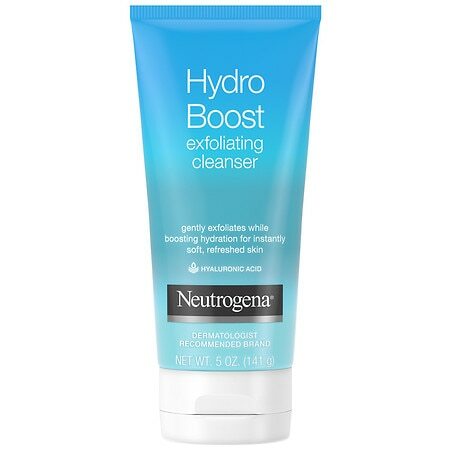 It's cheap too, only $5 or $6 at the drugstore or Target/Walmart/etc. I have very sensitive skin and I always use the Say Yes to Tomatoes spot treatment. Very effective and non-irritating and shrinks blemish after first use! Aveeno products are very gentle for lightening spots. Suited for sensitive skin. Emulsion pure compress + Juvenil by Yon-Ka! Emulsion pure is a non-oily, alcohol free fluid concentrate of essential oils. Can be used as a toner or a spot treatment. It purifies, regenerates and heals the skin. Can also be used on insect bites, small scars, sun burns or even after waxing to soothe the skin.